All our balls are reclaimed from lakes on golf courses across the UK and USA. The balls are cleaned, sorted and graded. Beware of other companies inferior grading standards! Our strict grading standards offer the best value for money anywhere! These balls are our best quality, and are the superb condition our customers have grown to expect when ordering. These lakeballs are truly one hit wonders and very difficult to tell from new. You might find a very small players pen mark on the occasional ball, but we are sure you will be delighted with the value for money. Offers excellent value for money. These Grade A golf balls have narrowly failed as a Pearl ball, however will still be in excellent condition and will have only minor signs of previous play. These balls are suitable for competitive play. These balls have some signs of play and will have either club marks, pen marks, discoloration, or maybe a combination. Although we would not recommend these balls for competitive play they are still perfectly playable and are fantastic value. These balls have been around the block and seen a few hooks and slices! They include X-outs, older balls, blemished balls, refinished balls. They are perfect when practising in an open-place, and cheap enough that you don't have to spend too much time looking for them! 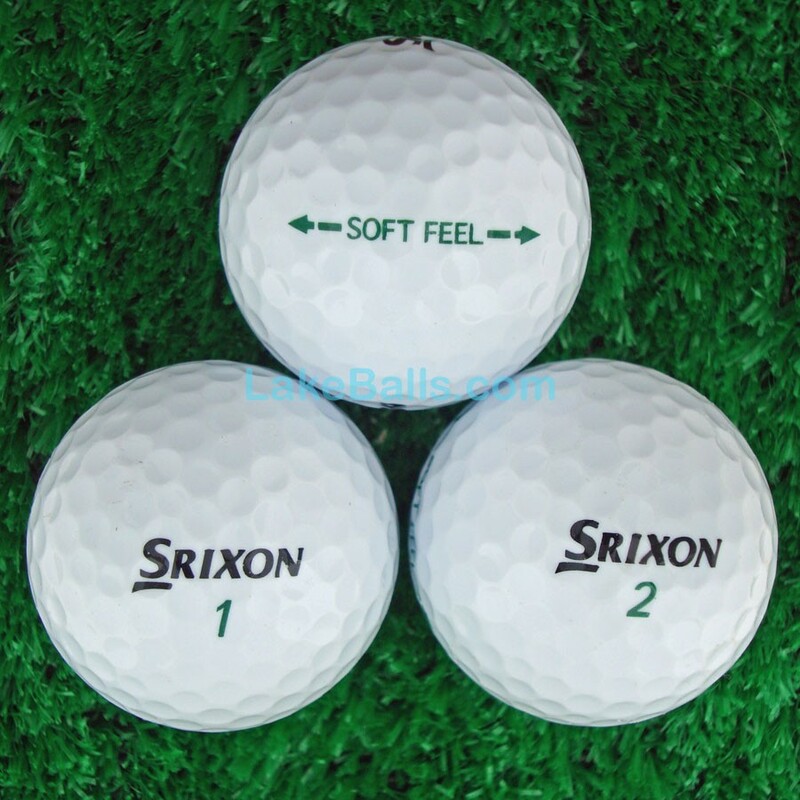 Kindly note: In all of the above grades some golf balls will have corporate logos printed on them. Designed for golfers with moderate swing speeds and gives a high trajectory for greater carry and distance whilst delivering a superb soft feel.